It was 5 a.m. and my alarm was going off. I didn’t mind though as I was on my way to Monticello Motor Club for an M Track Day put on by BMW of North America. A day filled with driving the latest BMW M cars on one of the premier race tracks in North America was very exciting and made it easy to roll out of bed! 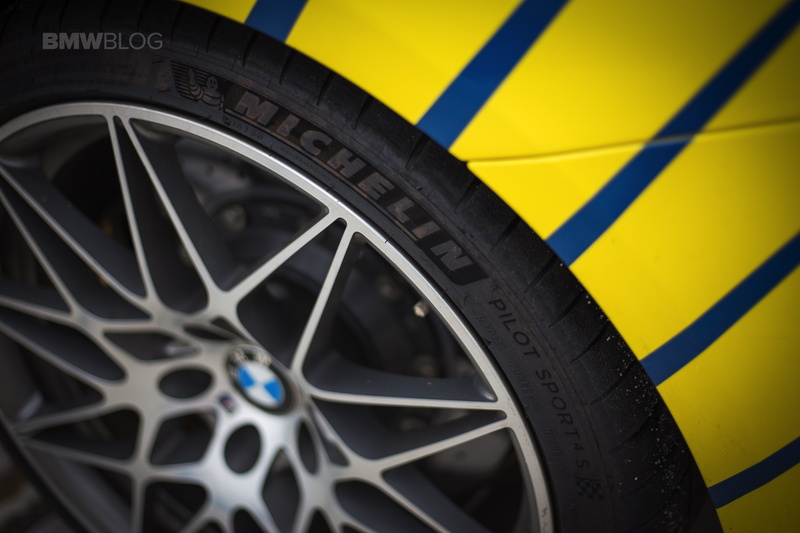 Michelin is one of the few sponsors of the BMW M Track Days and all of the cars would be equipped with Pilot Super Sport tires. 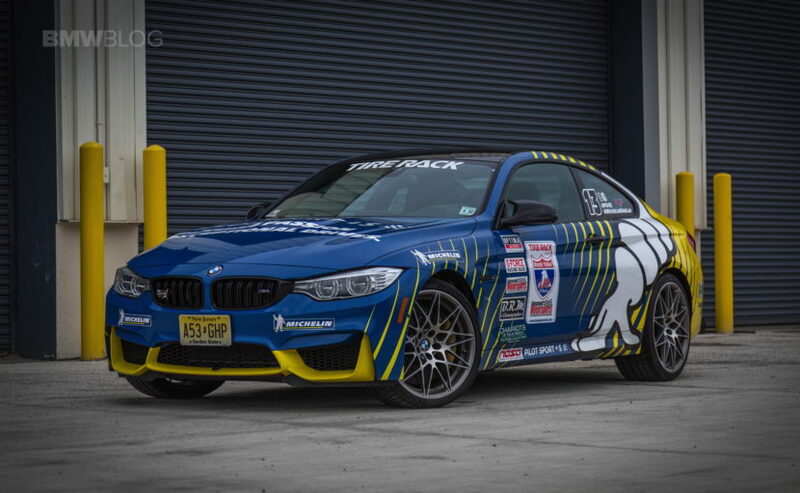 To make the day even more interesting, BMW loaned me the M4 Competition Package which raced in the Tire Rack One Lap of America on the new Michelin Pilot Sport 4S (PS4S) tire! But when I stepped outside to get on my way, it was starting to rain, so I was going to test them for the first time in wet conditions. The drive to Monticello Motor Club takes just under two hours from New York City which gave me plenty of time to feel out the PS4S on the freeway. One of the very few complaints I had with the Pilot Super Sport is that it was a little harsh when going over small cracks and ruts in the road, like the dividers between concrete sections for example. The Pilot Sport 4S seems to have solved this issue as it was quite comfortable at freeway cruising speeds. As the sun started to come up, and I got closer to the track, I realized that the rain was actually coming down a little harder than I had thought. I didn’t have a clue though as it felt as if I was driving on a dry road. The Pilot Super Sport has always been good in the rain, but the PS4S appears to be even better! The asymmetric tread pattern features side-by-side, 24 Hours of Le Mans-derived compounds, with the center ribs and inboard shoulder featuring a silica-infused wet compound designed to increase performance in wet conditions. 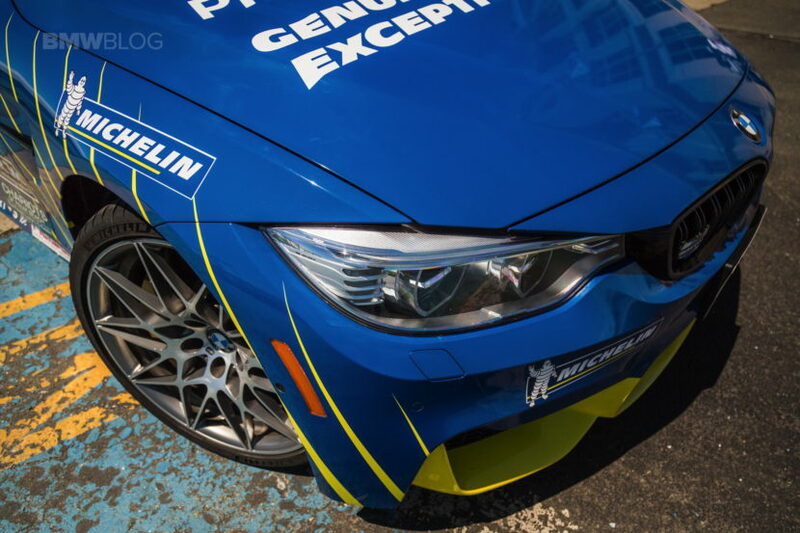 Since all of the cars at the BMW M Track Day were equipped with Pilot Super Sports, I wouldn’t get any track time on the PS4S, but it would be a good reminder of how its predecessor and current industry benchmark performs. 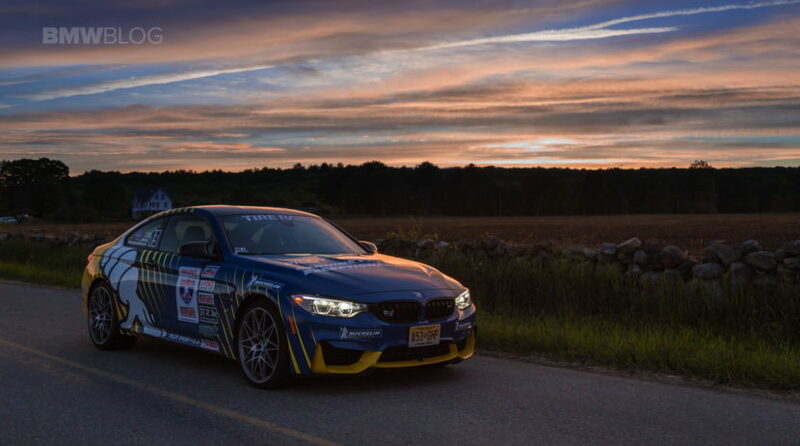 BMW M Track Days are a great way to experience the wide array of BMW M vehicles and have some fun with different driving skills. 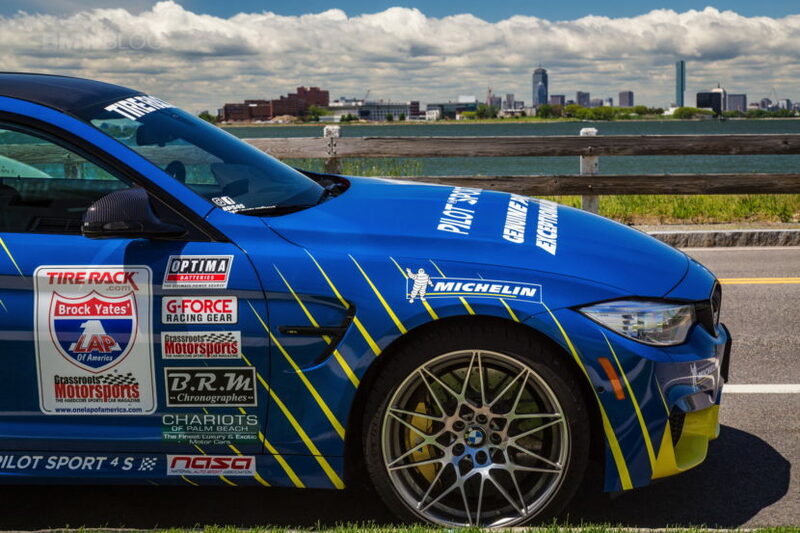 We were treated to track time with the M2 and M3, an autocross in an M4, and drag races in X6 Ms and M6s. Surprisingly, this was the first time on track for me in the M2. And even though it was raining so hard that at times I had to move off line to see through the spray from cars in front of me, I was grinning from ear-to-ear. The M2 is just so fun to drive on track as it has a great combination of power and performance. The Pilot Super Sports never let me down and were predictive throughout my sessions with a progressive roll-off when traction did start to go away. Considering the way the PS4S handled the water on the way there, I’m confident it will be just as good, if not better. 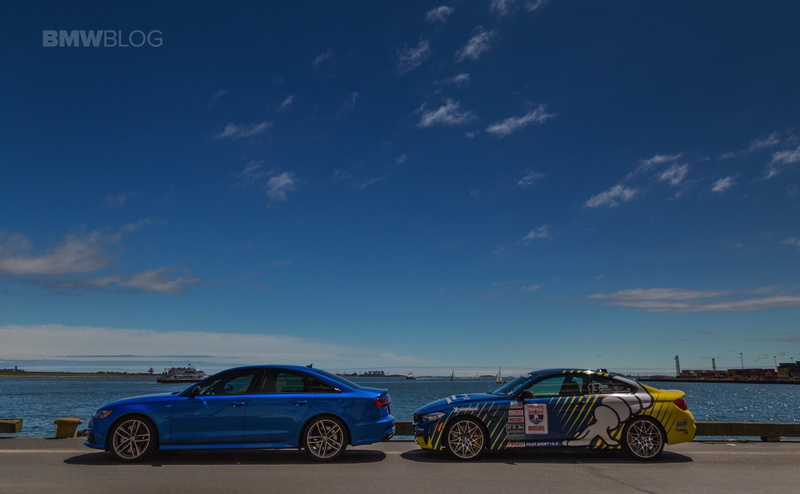 Once the track day had concluded and I had received my award for my podium finish in the autocross, I headed on to Boston to spend the weekend with a good friend. The rain continued its torrential downpour and it was nearly impossible see through it in the dark. It took much longer than expected as everyone was driving along at about 40 mph! But once again, the PS4S made it feel like there was hardly any water on the road. The tire just gives you that comfortable reassurance that if you needed to, you had the traction to avoid any possible bad situation. The next day, my friend and I went to find a good place to have a photoshoot since the Michelin livery on the BMW M4 was such an eye-catcher. We were also keeping our eyes open for a remote road or two to test out the grip under heavy acceleration. Thankfully the sun came out, the roads dried off, and we found a nice empty stretch to see how the PS4S would handle when I laid down the power. If you’ve driven the current M3 or M4, you may have noticed that it is quite easy to light up the rear tires with traction control turned off—or even in M Dynamic Mode (MDM). Just give the throttle a quick punch and be ready to counter steer! So I was prepared to lay down some 11s when I selected MDM and launched it off the line. NOPE! 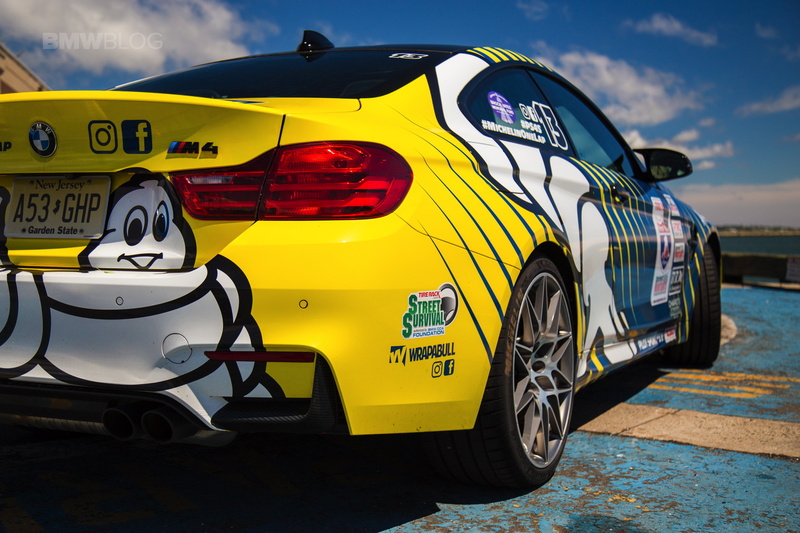 The PS4S rear tires hooked up and the M4 took off like a rocket! “I think my vision blurred…,” remarked my friend. Which made me giggle for a while and only want to do it again—which we did a few more times. After a good day of catching up, I had to get heading back home. And when you’re driving from Boston to New York on a Sunday evening, there’s nothing worse than Interstate 95 through Connecticut! So I programmed in my home address and checked the box to avoid freeways. I wanted to test the PS4S on some backroads. It turned out to be a beautiful evening and the roads were perfect and flowing with a few fun twists thrown into the mix. Michelin says that the PS4S features a low-void outer shoulder which utilizes a new dry-focused hybrid tread rubber for improved dry handling and braking over the previous generation. This can be felt as you enter a corner and load up the outer tire’s shoulder. Once the weight has been transferred, the tire feels like it grips into the pavement and you can really carve through the corner! It was a great feeling as I cruised back to the city where it seems like you can’t get away from the stop-and-go traffic and evasive pothole avoidance maneuvers. 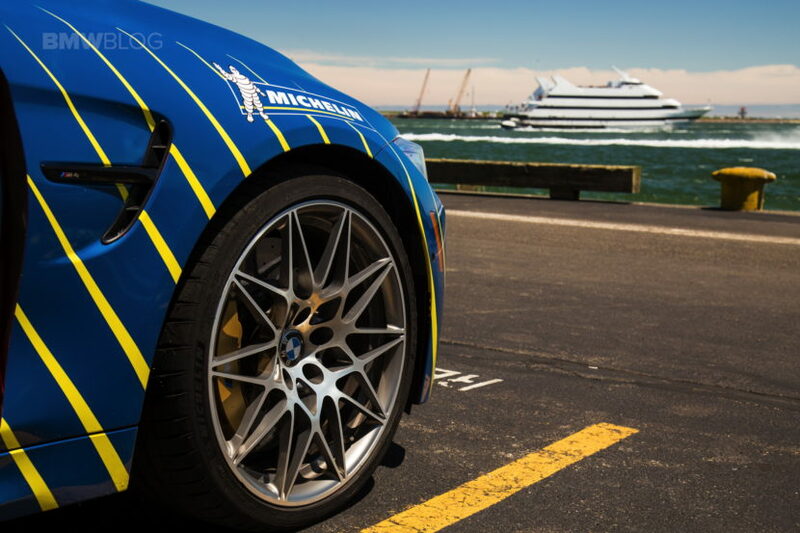 With spring just around the corner, and the winter tires coming off your car, it’s a great time to put on a set of the new Michelin Pilot Sport 4S tires! The Pilot Super Sport set the benchmark for Max Performance Summer Tires, and was perennially at the top of the rankings, but that legacy has come to an end with the PS4S. The king is dead, long live the king!